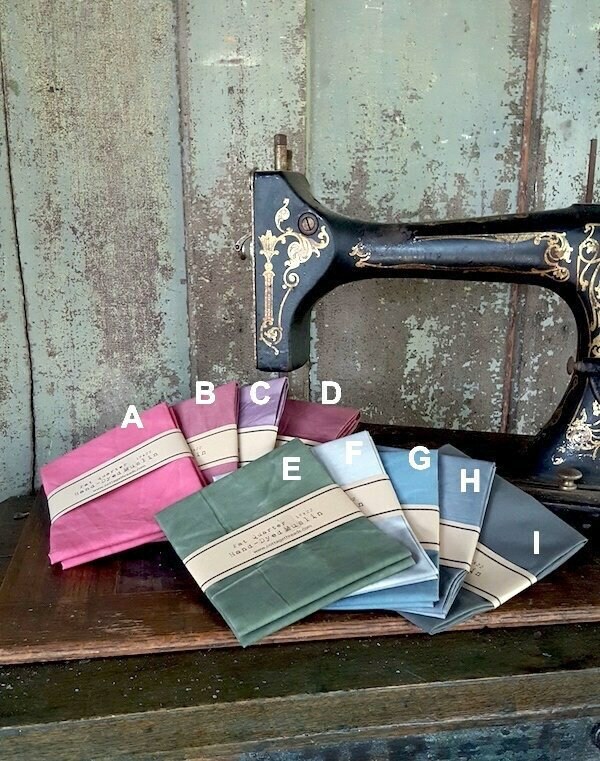 Fat Quarters Hand Dyed Aged Muslins from Marcus Fabrics... in assorted colors. This aged muslin cloth has been over-dyed and features a subtle crushed texture to resemble a vintage look. Please note colors vary per bolt and sometimes have modeling look to them. This fabric will give an authentic look when paired with reproductions, or a casual tone when blended in with contemporary prints. Use for quilts, costumes, crafts, or distressed-look apparel. Each FQ measures approx. 18" x 22"